Held at the CS Research Lab in ADZU last May 6, 2011 from 2PM to 5PM, I introduced to the group the basics of creating Chrome Extension and how to publish and monetize it. This is actually the 2nd batch of the workshop. 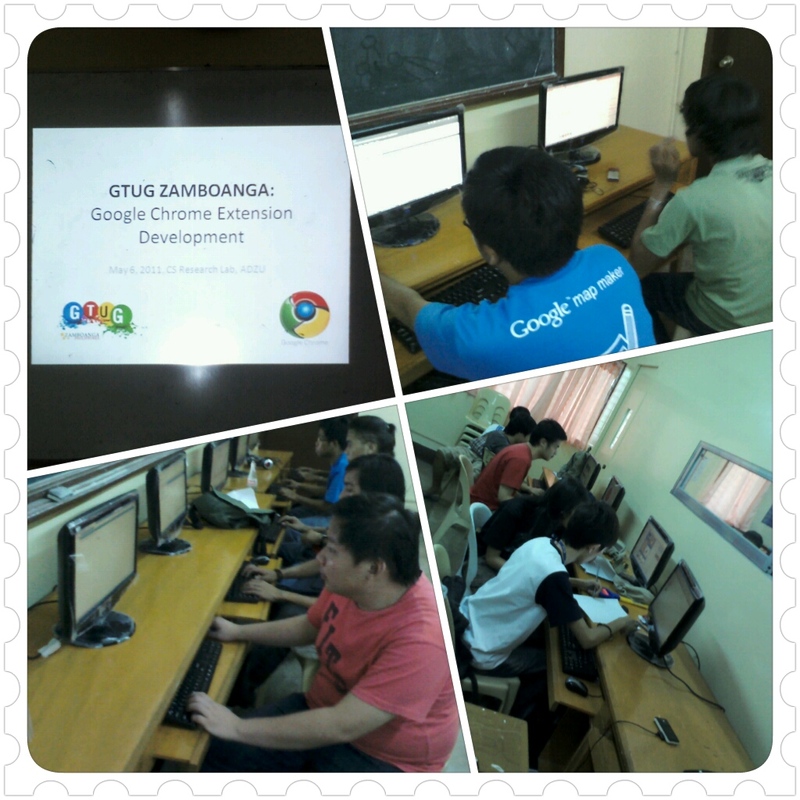 This was held at the Advanced ComLab in ADZU. Around 20 Android Developer enthusiasts attended the event last May 21, 2011 around 1PM-5PM. The topics discussed are the following: Android Architecture, Basics of Android Development, and how to Publish Apps in the Android Market. In partnership with Philippine Red Cross, the GTUG Zamboanga Chapter had their MapUP last May 23, 2011 at the E-Learning Center, Zamboanga City. Around 20 Google MapMaker volunteers converged to help map Zamboanga Peninsula and other nearby provinces like Basilan and Tawi-Tawi. Thanks to all who attended the events, volunteers and venue sponsors. hi GTUG, are there any Android enthusiasts here in Luzon? thanks!